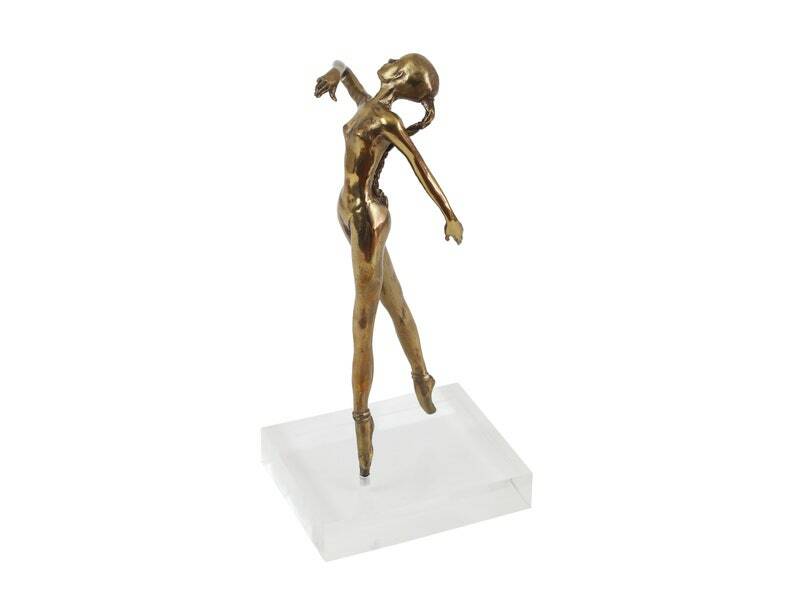 A brass sculpture of a dancer/ballerina on a rectangular lucite base. No maker marks or signatures are visible. Good vintage condition -- brass shows a slight patina from age. Dimensions: 11" x 5.25" x 4.25"
Contact us for a more accurate shipping quote! Shipped on time. Fast delivery. Mirror as promised. The vendor is quite easy to work with and I will watch their offerings into the future! The chemistry model looks great! Thanks! !